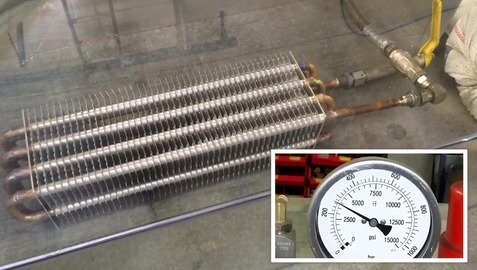 We have been working closely with our tube suppliers developing a new high pressure tube to use on trans-critical CO2 systems to help meet the our end customers demanding requirements. 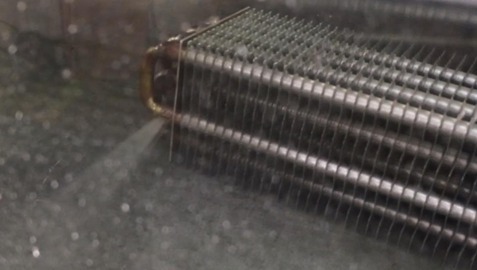 Beehive regularly carries out destruction tests on tubing and coils as part of our lengthy verification process before a new tubing can be introduced on any of our products and the same needed to be done for this latest high pressure tube material. 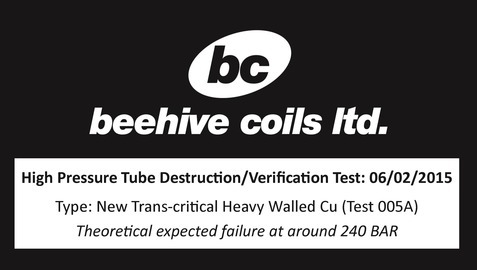 Beehive are pleased to confirm that the tube generously exceeded its required theoretical burst pressure of 240 BAR and failed at just over 280 BAR (more than 4,100psi) - as can be witnessed in our test lab destruction video below. This new tube will be introduced on some of our latest high pressure CO2 designs during this year helping us to both meet the high pressure constraints requested whilst also offering the most cost-effective and robust solution currently available.